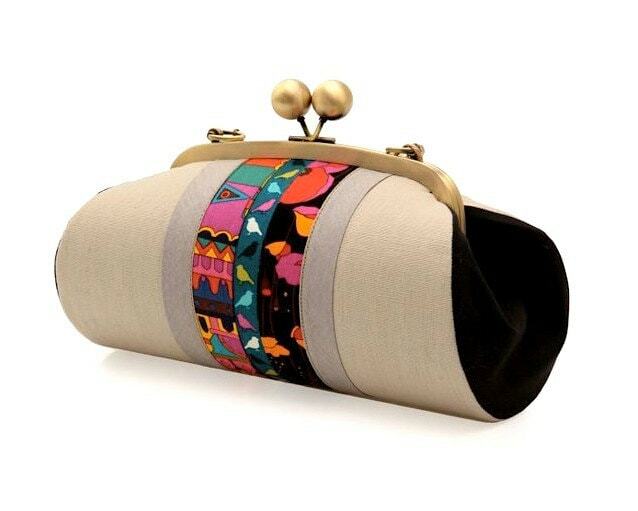 This beige clutch purse is the perfect, easy boho clutch! It has a unique style that is as pretty as it is useful. 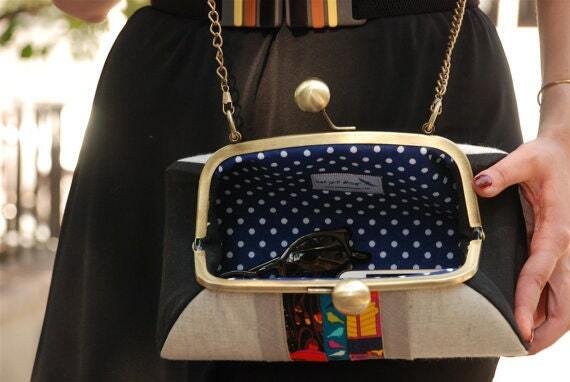 It's so easy to throw your essentials inside it and head out for a day in the town! It's size is more than enough to hold all your essential belongings such as keys, phone, make up, and even a small bottle of water. 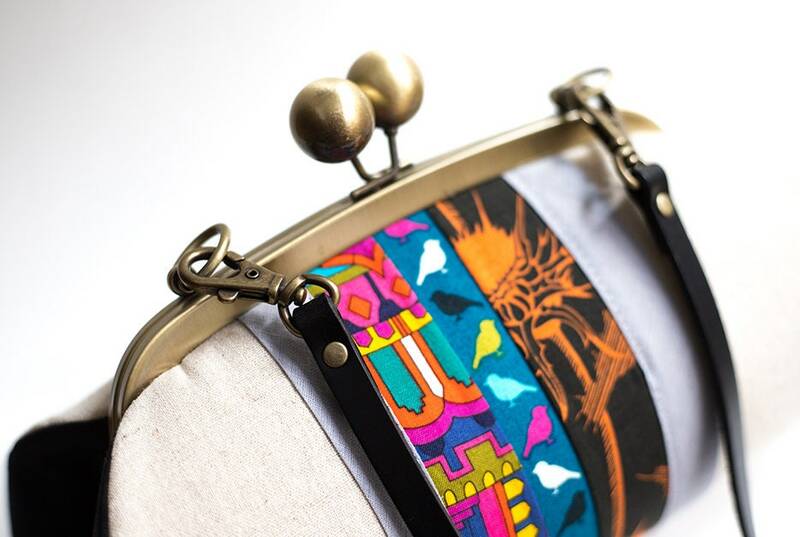 The chain strap is detachable, so you can also use it as a handbag if you prefer to. + SIZE in inches: bottom width 9.8'', top width 7'', height 5.9'', diameter of the metal beads 1.2''. + SIZE in inches: bottom width 25 cm, top width 19 cm, height 15 cm, diameter of the metal beads 3 cm. A: Adjustable genuine cow leather (black). Max. length: 49.2 (125 cm), Min. length: 41.3'' (105 cm). B: Adjustable genuine cow leather (caramel). Max. length: 49.2 (125 cm), Min. length: 41.3'' (105 cm). 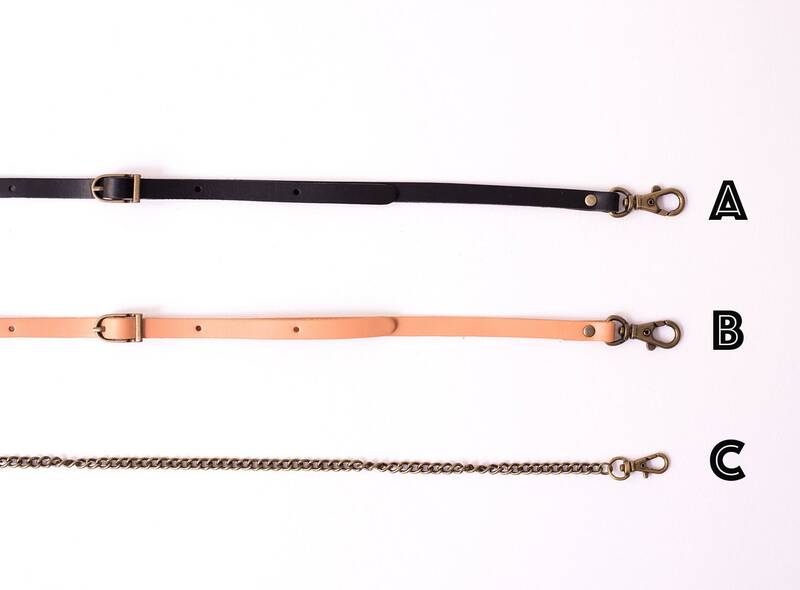 C: Antique brass color chain strap. length: 49.2'' (125 cm). This can be shorten or lengthen upon request. Much effort has been put into accurately describing and photographing this product, but please note that color representation alters depending on individual monitor settings. Is it a treat to yourself or a gift to your best friend or sis? It doesn't matter, I put your bag into a box with a dust protection tote. And if you want me to send it directly to the recipient of your choice, please leave me a message with the recipient's address and your special note to her in the 'notes to seller' at checkout. Much effort has been put into accurately describing and photographing this product, but please note that colour representation alters depending on individual monitor settings. International Buyers – Please Note: Duties, taxes and charges are not included in the item price or shipping charges. These charges are the buyer’s responsibility. Please check with your country’s customs office to determine what these additional costs may be prior to buying. I do not mark merchandise values below the actual or mark items as ‘gifts’ - US and International government regulations prohibit such a behaviour. 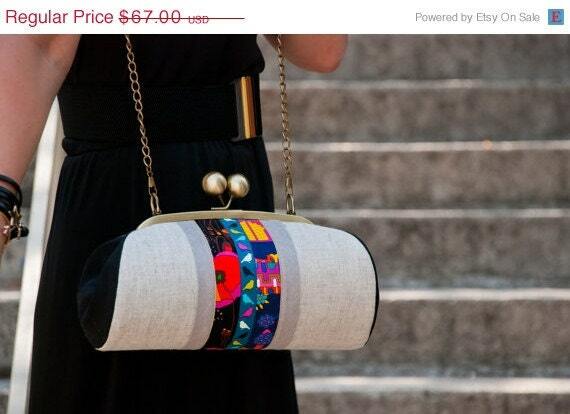 The color combo on this purse is just beautiful. Well crafted and I love using it. It's quite roomy. Where should I start... I decided to get my wife an extra birthday present to be the cherry on top of her already awesome gift. 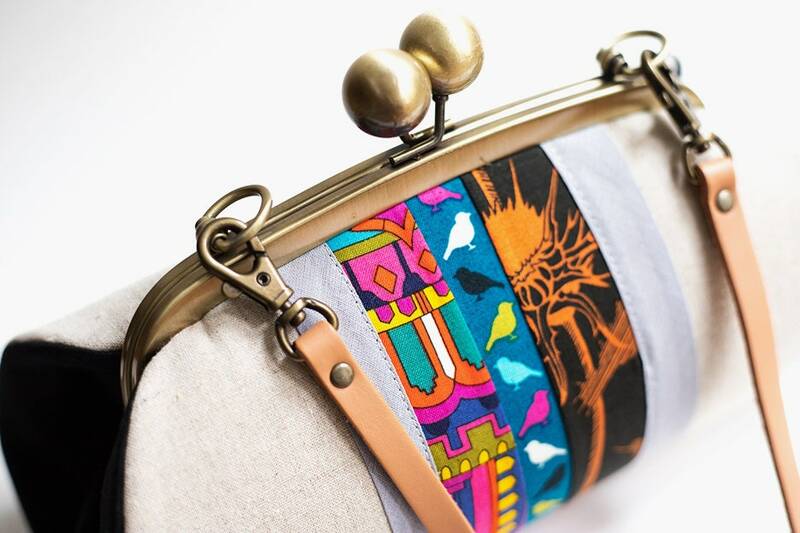 I looked at so many bags/clutches with cactus patterns and I kept going back to the same one by Bojack Designs. I only had one issue, my wife does not like or own anything silver and the bag with the awesome cactus print had a silver clasp. I decided to reach out to Eda and see what she could do or if she was willing to work with me because hey, the worst she could say was no. To my surprise, Eda responded quickly and we got the ball rolling on a solution to my problem. 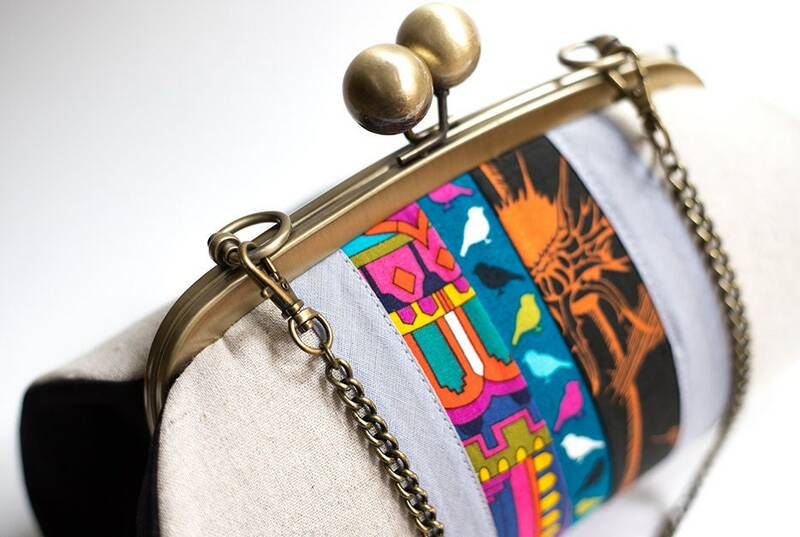 Eda was able to make the cactus print bag into the cylinder clutch and top it off with a brass clasp. The clutch turned out so frickin' amazing! My wife literally jumped up and screamed when I gave it to her. So beautiful and well made that i ordered two more purses from her! Superb workmanship!